Chiropractric has been shown to have beneficial effects on the athletes that utilise their services. For starters, they can offer a way to recover from injuries and can also help reduce pain during the recovery period. They also offer advice on practices such as exercises and stretches that can be used in the home with the aim of improving day-to-day life and preventing further injuries. However, chiropractors do not deal exclusively with injuries. By utilising certain techniques they can also help to prevent injuries while increasing the effectiveness of training and reducing recovery time. Within the context of football, chiropractors can help reduce the likelihood of hamstring injuries and lower limb muscle pain. Before chiropractors began assisting at football clubs the rate of injury had remained roughly consistent for 15 years at all levels of play. However, studies now show that clubs that use a chiropractor can have their injury rate reduced by 10% for both types, to about a 4% risk of both hamstring injury and lower limb muscle pain. These teams also saw a reduction in other issues such as non-contact knee injuries and lower back pain. While chiropractors can offer significant reduction in injuries in professional sports clubs and events like the Olympics, there is no reason why suburban and junior clubs cannot utilise their services too. All of the techniques used by professional chiropractors are safe and have been designed to be completely non-invasive. There are a variety of techniques that are safe for young children also. 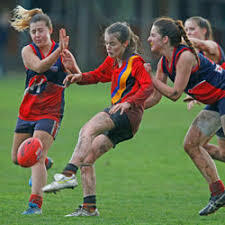 There has been a big spike in the number of girls playing footy in the last 2 years. As in boys football, they are prone to injuries. 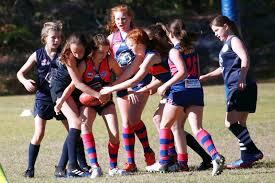 The early research would suggest the girls are more prone to knee injuries than boys. Dr.Daniel of Chatfield Chiropractic, has specialised pediatric sports injury training. Colleague Dr. Janet has a special interest in sporting related injuries. One of the better practices for those who are interested in utilising a chiropractor is to develop a relationship with a local professional. For those looking for a Sports Chiropractic information, it is recommended that they should take a look at http://www.chattychiro.com. By working consistently with the same clients, chiropractors can develop plans and programs that are best suited to your needs. As time passes things can always change, and accidents can occur completely outside of the normal sporting context. When something goes wrong it is beneficial for the patient to have an existing relationship with a professional. That way any existing programs can be altered immediately to suit the patient’s needs. The chiropractor will also know which exercises are going to be the most beneficial. If you have children playing football or any other sports and would like some advice, get in contact with Chatfield Chiropractic to discuss the services they offer and how they will be able to help.